Are minimalist shoes bad news? – Is it healthful? Are minimalist shoes bad news? 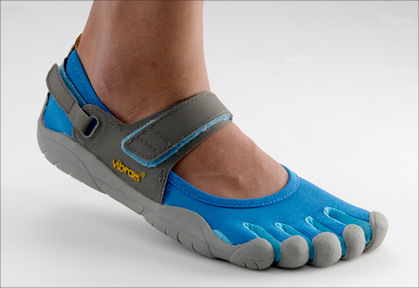 Disclaimer: I was massive barefoot running skeptic, prior to writing this review. The story goes that in the 1960 Olympic marathon Abebe Bikila of Ethiopia took home the gold medal in nothing but barefeet. Rather than considering Abebe’s training regime, environmental conditions (having to run everywhere) and natural ability, barefoot runners put his victory down to….well, his barefeet. So are barefoot running and minimalist shoes all they’re cracked up to be? Or are you wearing gloves on your feet for no reason. Running barefoot or in minimalist shoes has a small, beneficial effect on running efficiency and the metabolic cost (how much fuel we burn) of running when compared to heavier shoes (1). It may also slightly reduce the amount of oxygen we use to run (2). Barefoot running appears to position the hips and knees in a more optimal position, to prevent hip and knee injuries (3, 4, 5) . It also, may decrease the forces placed through the lower limbs (6). However, this may come at the cost of the ankle, with barefoot running causing increased side to side ankle movement and the risk of developing achilles tendinopathy (3). There are many anecdotal reports of people moving from shod (shoed) running to barefoot and suffering stress fractures. In most of these cases individuals have transferred suddenly and completely from shod to barefoot running and have also been running A LOT. So if you’re planning to this, proceed with caution. Running performance: At a similar price to heavier runners, barefoot runners may offer a very minor improvement in performance immediately and perhaps with training over time. Considering the similar costs, I’d be giving the minimalist shoes a go. Injury prevention: If slowly transitioned in to, the improvements in knee and hip mechanics may reduce such injuries. I hope this review has been healthful. I did my own case study on myself. I purchased some of those silly toe shoes and transitioned myself to just daily wear– walking around at work, daily chores, etc.– over about 10 days. I had been having some mild, daily knee pain… and then after a few weeks in those shoes and changing NOTHING else about my routine, pain gone. Hasn’t come back either, although I have switched to regular appearing, but still minimalistic daily and running shoes now too. And I will definitely say that minimalistic running IS super hard on your ankles due to the change in gait pattern to forefoot strike rather than heel strike. Or that’s my hypothesis anyway. My ankles are what tell me when it’s time to quit now, not getting short of breath. Just need to work on all those little stabilizers some more. This wasn’t as much of a problem when I ran in the toe shoe design though. I know, I know, the courts are saying the toe shoes are bogus, but that’s my experience! Interesting to hear your story. I’ve heard people say similar things. I have been a runner for forty years and have developed some issues with my illiotibial muscle in my right leg as well as gimpy ankles at times. I have tried barefoot running [not seriously] and found that it did seem to put extra pressure on my ankles. If I had more of a floating stride creating a softer landing on the front pad of my foot it might be different. As you get older I think the ankle issues that barefoot running could foster would be a problem. Good point, Mike. The effects likely change from person to person. ← Pilates: are you wasting your money?